Although comic books and superheroes are now mainstream, not too long ago they were considered childish. 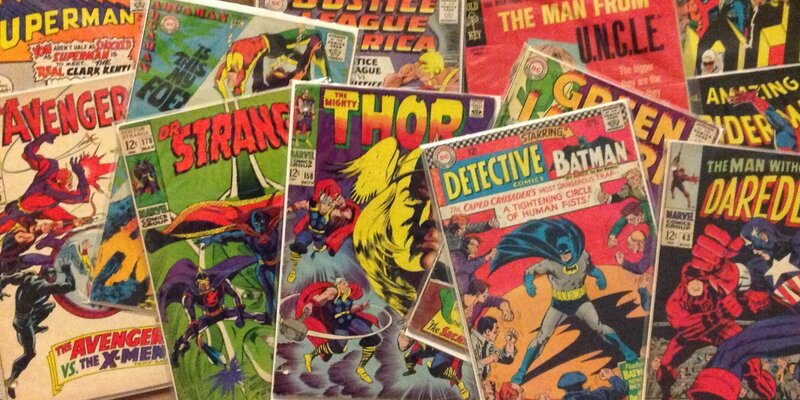 In fact, parents would often throw out a child’s old comic books once they entered junior high. Even when I was in junior high, I would wear a couple different superhero shirts every now and then, and the “cool” kids with their sideburns and mustaches would make fun of me. Yes, that is correct. Kids in junior high with sideburns and mustaches, yet they were heckling me. Of course, comic books are more accepted nowadays than at anytime in the past. Three of the top ten highest grossing films of all time are Marvel movies. But this transformation didn’t happen overnight. Superheroes didn’t go from the class nerd to the coolest guy in the school in one or two years. It has taken decades to earn this credibility. And why not? When you think about it, all of these superheroes that are popular now will outlive all of us. They will probably go on for centuries. It is like Greek mythology has been replaced by Marvel and DC Comics. No longer do kids talk about Zeus, Hades, Poseidon, Hermes, Aphrodite, and Hera. They don’t discuss the old myths and folktales surrounding them. Instead, they have conversations about Superman, Wonder Woman, Batman, Aquaman, Spider-Man, and the Hulk. There are classes in college about Greek mythology. Someone let me know when there are classes available that speak about superheroes the same way. 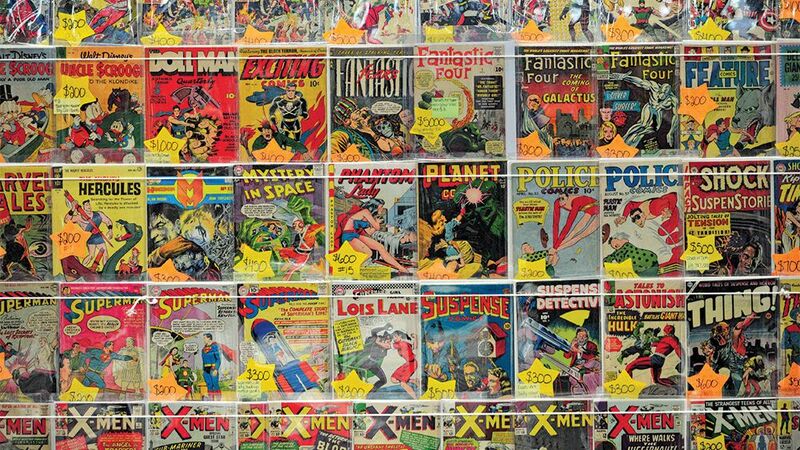 If you mention superheroes to any actor or actress in this age, they will proclaim how they have always loved comics and how the stories and characters are so well written. They claim they have always been lifelong fans. Many of them are totally full of it, just trying to land a new acting job or keeping one they already have. We, the ones that watched superhero cartoons in the 1970s and 1980s and loved them, we are the dedicated fans. We would go to the local drugstore and purchase comics every week because there were no comic book stores back then. We would be there looking through the newest comics while people around us were searching for itch cream and aspirin. Dean Martin and Elvis Presley were just like us. We were all old school before old school was cool. Two of the best singers of all time, and not bad actors either, were huge comic book fans back in the day. Jerry Lewis would often tell stories about how Dean, who was one of the biggest celebrities in the world at the time, would send someone out to get all the recent comic books for him so he could catch up on his reading. The King of Cool loved superheroes. Elvis Presley, who thought Dean Martin was just about the most talented person he had ever met, was ecstatic about comics, especially as a kid. As a young boy, his family would be living in poverty, but he would still find comic books to read. Many people do not know this, but Elvis’ natural hair color was a blondish brown. But he liked how Captain Marvel (now known as Shazam) looked with his dark hair, and he started dyeing his hair in an effort to emulate him. Later on in the 1970s, he started wearing a jumpsuit to perform at his concerts with a cape attached to it. Elvis was a living and breathing superhero. We all know Comic-Cons today as a place to go and celebrate everything about comic books and superheroes. These are always packed with people dressing up in full costume in an effort to resemble their favorite superhero. A little interesting fact, the first Comic-Con happened in San Diego in 1970. The three day celebration only attracted about 300 people. Fast forward to today and it is entirely a different story. The Comic-Con International: San Diego has been topping 130,000 fans for the last few years. I’m sure many of you are in the same boat, but most of my favorite books I have ever read are graphic novels. The Dark Knight Returns, Kingdom Come, and Flash Point are all graphic novels that I have read at least five times each. While these may not receive the critical attention that Harry Potter or those Nicholas Sparks books get, it does not mean they are any less of important literature. I have read all the classics and have my Masters in Reading and Literacy. I enjoy the classic novels like To Kill a Mockingbird and Tom Sawyer, but if I want a nice relaxing evening reading at home, I will grab a comic book. I’ve never seen an 80-year-old wear superhero shirts before, but if I survive that long, you can count on me doing that with pants pulled up to my chest.